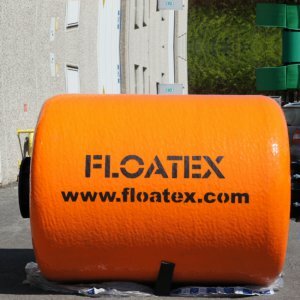 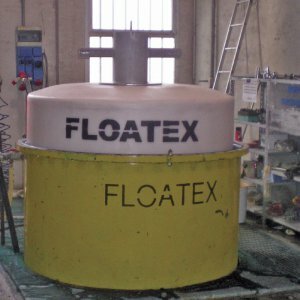 Floatex recently developed a new range of floating "Y" pieces. 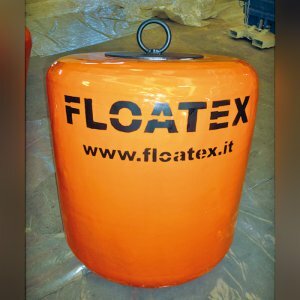 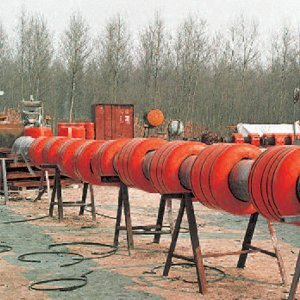 The main difference is the outer structure which is completely made in rotomoulded polyethylene, splitted into two modules joined together with stainless steel bolts AISI 316. 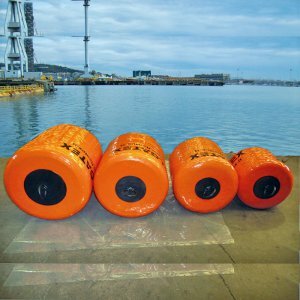 The modules are mounted on a steel structure duly studied by our technicians to guarantee a greater oil flow velocity. 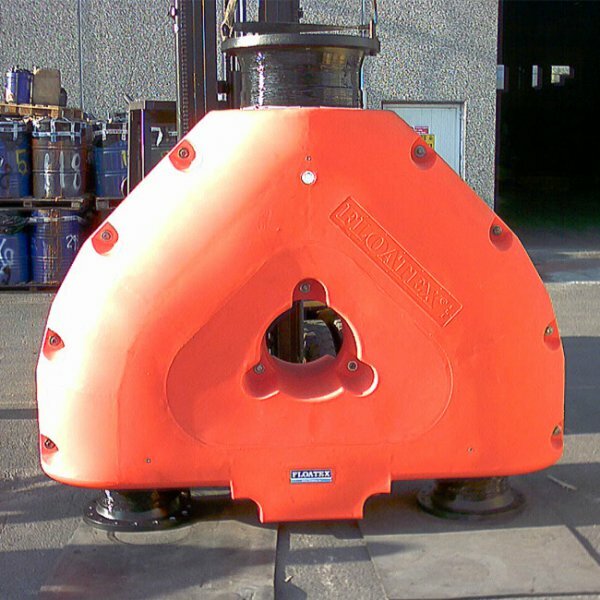 The steel structure is sandblasted and galvanized by Metco system Zinc anodes may also be added upon request. 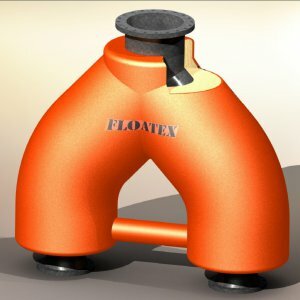 100% radiography is made on all welding parts involved. 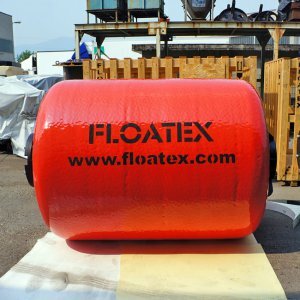 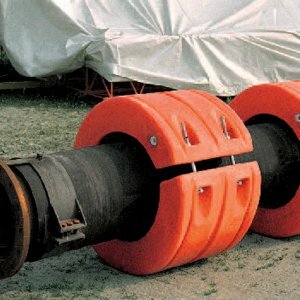 The polyethylene modules are duly filled with closed cell polyurethane foam to guarantee unsinkability. 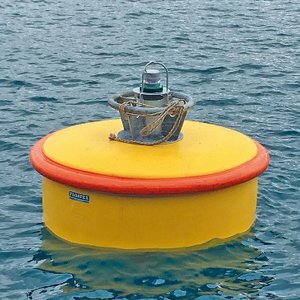 The Minimum reserve-buoyancy is 25%. 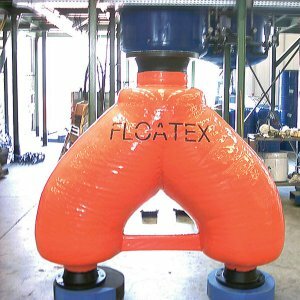 - The floating modules, thanks to its construction, are easily removable. 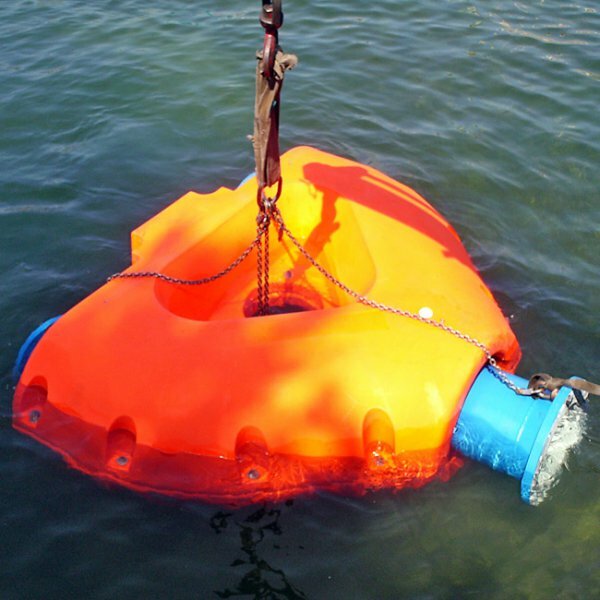 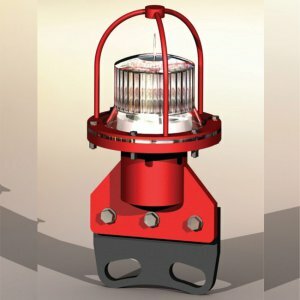 - The floating modules can be replaced or simply repaired directly on site. 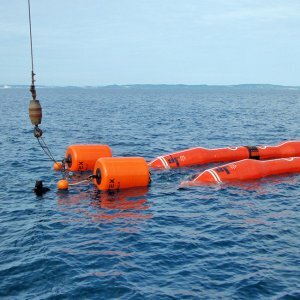 - The steel structure can be controlled, repaired, treated or changed simply removing the floating modules. 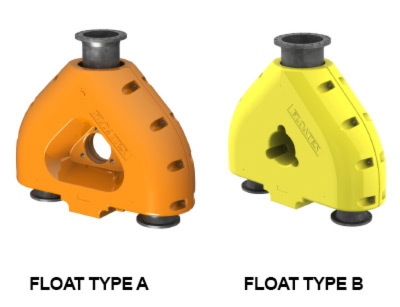 Floating modules and / or steel parts are available as separate items.